Some images are worth far more than 1000 words. 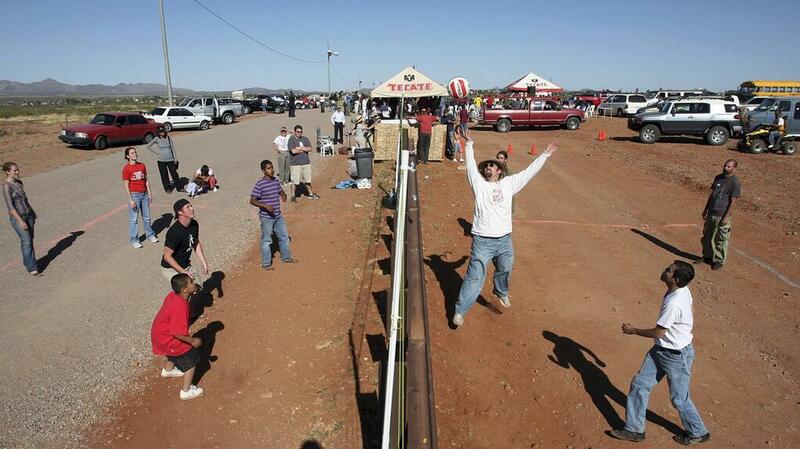 Americans and Mexicans playing volleyball across the Arizona border. If you plan on being anything less than you are capable of being, then you will probably be unhappy all the days of your life.